Whilst the media focuses on the injuries and deaths of British servicemen and women and demands more troops and more helicopters, it ignores the deaths of Afghan civilians and the corruption and fundamentalism of the government of warlords in Kabul, in whose defence the British Army is fighting and dying. The UK launch of new book by Malalai Joya, an Afghan politician called "the bravest woman in Afghanistan," is a reminder of the hypocrisy if the war in Afghanistan. Elected as member of the Afghan Parliament from Farah province, Malalai Joya has publicly denounced the presence of what she considers warlords and war criminals in the parliament. She is currently in the UK promoting her book. "Foreign governments are wasting their money and their blood in Afghanistan by supporting Karzai. After this election, the result will be the same donkey, only with a new saddle." Today, the United Nations reported a 24% increase in the number of civilian deaths as a result of fighting in Afghanistan compared with the same period last year. Two-thirds of the deaths caused by forces allied to the Karzai government came from Nato air strikes. "Raising my Voice: The extraordinary story of the Afghan woman who dares to speak out" is available from Newham Books or your own favourite local bookshop. More information here and here. The Iraq Inquiry website can be found here. "If someone were foolish or wicked enough to tell a serious untruth in front of the inquiry like that, their reputation would be destroyed utterly and forever. It won't happen." Lying about Iraq? Who would dream of doing that? Perish the thought! And what's the difference between a serious untruth and a minor one? I saw a report in the Independent last week that Israel's ultra-nationalist Foreign Minister Avigdor Lieberman has ordered Israeli embassies to use a photo of a meeting in 1941 between Adolf Hitler and the Grand Mufti of Jerusalem, Mohammad Amin al-Husayni, to counter international criticism over a planned Jewish settlement in Arab east Jerusalem. The plan to build apartments for Jewish settlers on the site of the former Shepherd's Hotel, once owned by al-Husayni, has attracted criticism from the US State Department, who summoned the Israeli ambassador in Washington to demand that the project be halted. 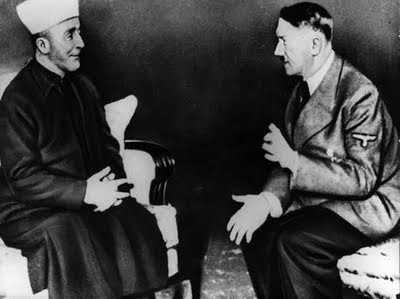 Agence France-Presse reported an anonymous Foreign Ministry official saying that the distribution of the photo was to “prove a well-known point that the mufti collaborated with Hitler." All of which brought to mind three things: the Indian nationalist leader Subhas Chandra Bose, how history is always written by the victors – and that if you believe that your enemy’s enemy must be your friend, then inevitably you’ll be judged by the friends that you keep. Let me explain. This evening, there is a meeting on Subhas Chandra Bose at the Indian High Commission’s Nehru Centre, with speakers including Ealing Southall MP Virendra Sharma. I was alerted to it by a Facebook announcement that describes Bose as a ‘Bengal Resistance Hero’, which is how he is popularly seen in India. But he also shares something in common with al-Husayni: accusations of collaboration with fascism and photographic evidence of a meeting with Hitler. Now there are clear but obvious differences between Bose and al-Husayni. The latter was undoubtedly an anti-Semite who actively supported the Axis powers and has been implicated, particularly by Israel, in direct involvement in the Holocaust. 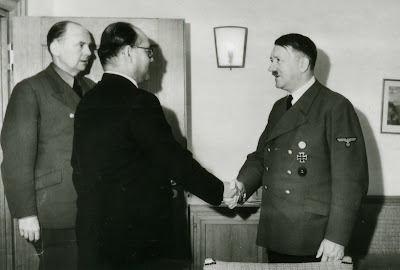 Subhas Chandra Bose was a secular socialist, a rising star of the Indian liberation movement of the 1930s, who believed he could use Nazi Germany’s support to push forward independence from Britain whilst largely ignoring the fact that Germany had its own strategic and territorial ambitions for his country. But there are also similarities. Both were nationalists born into privilege in 1897. Both cut their political teeth in opposition to British colonialism. Both escaped imprisonment in the early part of the Second World War and both eventually ended up in Germany. And both collaborated with the Axis powers. In 1942, according to Israeli historians, al-Husayni helped to organise the "Arabisches Freiheitkorps," an Arab Legion in the German Army that fought on the Russian front. Bose set up, with the help of the German Foreign Ministry, the "Free India Legion", which as a BBC Radio 4 Document programme broadcast in 2004 revealed, eventually served in Holland and France and were drafted into Himmler's Waffen SS. A former recruit described the oath sworn by members as follows: “"I swear by God this holy oath that I will obey the leader of the German race and state, Adolf Hitler, as the commander of the German armed forces in the fight for India, whose leader is Subhas Chandra Bose." Moreover, Bose had what can be described, at best, as an ambivalent attitude towards the treatment of prisoners by his Japanese allies and was powerless to prevent atrocities by Japanese troops in the Andaman and Nicobar Islands, which were nominally under the control of his Azad Hind government-in-exile. Yet Bose is remembered as a hero, honoured at an Indian government cultural centre in London, his collaboration forgotten, whilst al-Husayni’s name is used in propaganda as an embodiment of evil. Could this be because India were winners in the collapse of Britain’s empire, whilst the Palestinians most definitely were not, and that the history of both collaborators has been written, even manipulated, by the victors? And it continues to this day: the Jerusalem Post quotes a remarkably frank Israeli professor – one who claims to be from the centre-Left – who told them, “It is our right to say [to the world], 'Guys, look who are the friends of those who claim right to Jerusalem. This is called guilt by association'… But if you are talking about propaganda it has to be for the masses, and not only politically correct. I want the whole world to know that they cooperated with the Nazis to kill Jews, and we need to defend ourselves not only in Jerusalem but everywhere else." Victor’s propaganda really does explain why al-Husayni’s shameful collaboration has been circulated worldwide whilst Bose’s own dishonourable associations are brushed aside. It’s may be a crude attempt to deny all Palestinian rights in Jerusalem by implying collective guilt for Nazi crimes, but it is effective precisely because al-Husayni was a senior cleric, a representative of Palestinian Arabs in the 1930s and 1940s, and photos are a powerful and emotionally charged weapon. Equally, whilst hindsight can be convenient for making judgements about people's actions, it's hard to accept that those who collaborated with the Nazis were ignorant about the true nature of the regime they made an alliance with. The fact is that, driven by their own priorities, they chose to ignore the truth. Moreover if, as many nationalists decided, the ends justify the means and yet you end up powerless to control history’s narrative, then you can hardly complain if your reputation is judged by the friends that you keep. 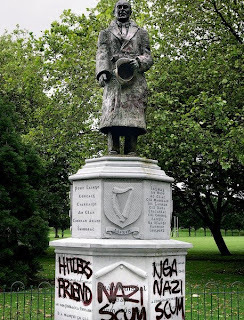 Another example - at the beginning of July another nationalist who worked with Nazi Germany, this time the IRA leader Seán Russell, made the news in Dublin because his statue was defaced with slogans saying “Hitler’s friend” and “nazi scum”. In common with Bose and al-Husayni, Russell is alleged to have discussed with the German Foreign Ministry the idea of raising an "Irish Brigade" from Irish prisoners of war captured fighting for the British. Choosing allies wisely is important, but it’s a lesson that is not always learned. I’ve written before about the dubious choice of allies made by sections of the Left who were driven by their own priorities in the anti-war movement, about the failure to provide a critique of some of the actions of these allies, about the damage caused by the prominence of the “We Are All Hizbollah” banners on demonstrations and George Galloway’s glorification of the leader of Hizbollah, Sheikh Sayyed Hassan Nasrallah. These things matter because of the ammunition it provides, because individual actions can be used to denigrate entire movements. And few ever get off as lightly as Subhas Chandra Bose. The full text of an article I've written that appears in the current issue of Red Pepper, which is out this week. In one the bleaker parts of Stepney’s Commercial Road, in London’s East End, is a modern housing association building called Peter House. Just around the corner from it stands another, on Sidney Street, named Painter House. In late September 2008, the Metropolitan Police Federation and the Daily Mail managed to work themselves into a fury at the decision by Tower Hamlets Community Housing to name these properties in commemoration of one of the area’s most celebrated anti-heroes and one of the most notorious incidents in east London’s turbulent working-class history. In January 1911, police hunting a Latvian anarchist gang, who had shot and killed three police officers in a jewellery-shop robbery, cornered three suspects at 100 Sidney Street. The siege that followed, famous locally as the ‘Battle of Stepney’, is remembered for the escape, disappearance and ensuing elevation to popular outlaw status of the gang’s anarchist leader, Peter the Painter, a man who many historians now believe may not even have existed. But the siege is also remembered for the controversial decision by the then Home Secretary – one Winston Churchill – to take personal charge of the police blockade, call out army reinforcements and then insist that the fire brigade stand by whilst the besieged building burnt to the ground and incinerated those trapped inside. Seldom has any sense of separation between political influence and the supposed ‘operational independence’ of the police been breached more blatantly, or more brutally. The possibility of a modern Home Secretary striding the barricades wearing a top hat, issuing instructions under gunfire, is of course ludicrous. Events a century ago are invariably held up as evidence of just how much has changed: the belief that the police are now our servants and their independence from the state guarantees their impartiality and accountability is an enduring one. It is summed up in the most often quoted maxim of Sir Robert Peel, the founder of the Metropolitan Police, that “the police are the public and the public are the police” and persists in popular support for the idea of ‘policing by public consent’. However, there is little in the recent history of policing in Britain to suggest this is anything other than a comforting fiction. At times of civil conflict, mass unemployment, immigration, political demonstrations and industrial disputes, the actions of the police have repeatedly been front-page news and deeply mired in controversy. And like Sidney Street, place names become associated with more than towns or districts – think of Orgreave, Grunwick, Brixton, Southall or Red Lion Square, each the scene of violent clashes with the police over the years. 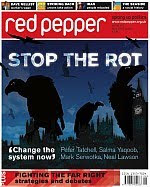 Whilst the debate begun in the last issue of Red Pepper is therefore welcome and timely, it is important not to get carried away with the idea that the police’s brutal tactics during April’s G20 protests in London, or the furore that followed, represents some sort of turning point. After all, we have been here many times before. We shouldn’t forget that the left spent much of the 1980s highlighting the way that the supposed operational independence of the police repeatedly failed to assure impartiality between divided communities in the north of Ireland or in the treatment of urban black communities. 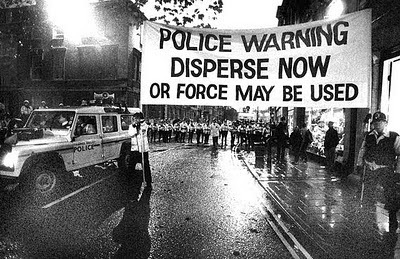 Through Labour-controlled police authorities, it also argued that the way chief constables dealt with industrial disputes, most notably the miners’ strike in 1983-84, was violent and unaccountable. It was clear to the left that the police took sides, almost always with the most conservative view of society and with a willingness to use physical force as a matter of course. Campaigns that challenged the autonomy of the police in handing complaints about violence and misconduct helped create the Police Complaints Authority in the aftermath of the Scarman Inquiry into the 1981 Brixton riots (replacing the Police Complaints Board, itself a piecemeal attempt at reform following corruption scandals in the Metropolitan police during the 1970s). But change seemed painfully slow while the Conservatives were in office. The election of a Labour government in the 1990s made far less of an impact, however, than many on the left might have been hoped or expected. Since 1997, from the public inquiry into the murder of Stephen Lawrence to the shooting of Jean Charles de Menezes, the botched anti-terrorism raid in Forest Gate in 2006, Ian Tomlinson’s death and the most recent allegations of the use of torture by drugs squad officers in north London, the police have been embroiled in one crisis after another. Paradoxically, however, these brief and intense episodes of media scrutiny over the last decade have largely failed to rein in the enthusiasm of the New Labour government for concurrently and dramatically extending police powers through more and more draconian legislation. There have been many scandals, many calls for change and the creation of the third new police complaints body in thirty years, the Independent Police Complaints Commission (IPCC). But few police officers, especially at a senior level, ever face any real threat of prosecution or disciplinary action and it feels as though the police are far less accountable now than they have ever been. Instead, Britain’s senior police officers have somehow managed not only to ride out the intermittent storms of unfavourable media coverage but also to significantly strengthen their autonomy. How has this been possible? Even though recorded crime rates appear to have fallen over the last ten years, one explanation may lie in the politicised use of crime as a battleground between the main political parties, the relentless focus on the apparent failings of the criminal justice system and the need to ‘modernise’ its institutions. New Labour’s communitarian approach to crime has blamed the collapse of a highly idealised past, one where informal social controls and individual responsibility maintained order, to justify an increasingly authoritarian future. That many of those living in these ‘ideal’ communities, particularly women, children and minorities, would have found them stifling, oppressive and in fear of crimes such as harassment and violence, has not stopped an emerging consensus on the need to redress the balance by investing heavily in policing (and the ultimate in failing Victorian institutions, prisons) as a panacea for society’s ills. This zero sum approach has shifted the balance of the criminal justice towards the ‘law abiding majority’, from liberty towards security, and given us a rising prison population, anti-social behaviour orders, anti-terrorism laws and a total of 955,000 people stopped and searched in 2006/7 alone. No wonder Labour ministers and senior police officers became such good friends – it is unclear who exactly was politicising whom. But the impact on the police’s alleged independence from politics has undoubtedly been profound. Labour in its 2005 election mini-manifesto summarised its crime policy as “we asked the police what powers they wanted and made sure they got them.” In such circumstances, it is little wonder that senior officers such as former Metropolitan Police Commissioner Sir Ian Blair attempted to cash in what is essentially a government blank cheque by actively supporting controversial proposals such as the introduction of ID cards (an idea associated with only one political party at the last General Election). Contact between the police and New Labour have also taught senior officers many of the spin-doctor’s dark arts and they can now mislead and prevaricate like seasoned political operators. The growing power within government of a well funded, unaccountable private lobbying organisation, the Association of Chief Police Officers (ACPO), suggests even more that the police are now as much concerned with picking and choosing laws as they are in enforcing them. ACPO has, for example, led the way in publicly criticising the IPCC after the G20 protests and it presented, in the aftermath of the July 2005 London bombings, what amounts to a deeply partisan shopping list of controversial police powers that included 90-day pre-charge detention. The government’s willingness to use senior Metropolitan Police officers to lobby backbench MPs in support of this particularly divisive issue shows the extent of the cosy alliance between government and the police. Faced with a pact between powerful political forces, public bodies that are charged with scrutinising impartiality and accountability, such as the IPCC and local police authorities, have struggled to keep up. In part, this is because they either because they lack the powers to do so, or because they cling to the idea that the police are essentially benign and that scrutiny means acting as a ‘critical friend’. Take the Metropolitan Police Authority (MPA), for example. Its ‘scrutiny’ of the Met’s conduct in the shooting of Jean Charles de Menezes focused on how well the police have ‘learned lessons’, not on holding senior commanders, whose employment the MPA oversees, to account. The same was true of its feeble investigation of media manipulation in the aftermath of the 2006 shooting of an unarmed man during anti-terrorism raids in Forest Gate. The MPA acknowledged the damage caused by false and malicious leaks about the families caught up in the raids but chose to ignore that unattributed briefings to the press came from within the ranks of the Met itself. Its recommendation? More ‘learning lessons’. Unfortunately, it seems there is little chance the MPA’s new Civil Liberties Panel, set up after the G20 protests, will be any less supine. The MPA simply lacks the will to step beyond the narrow confines of what it has decided ‘accountability’ means. Even the IPCC, with theoretically far more power than the complaints authority it replaced, has failed to live up to the promise of genuine reform. Its problem has been a government reluctance to upset the police by giving the IPCC the political support to carry out its role, coupled with a lack of backbone within the Commission to demand it. Back in March 2003, I met the IPCC chair, Nick Hardwick, as part of a delegation of custody-death families in the unlikely setting of a Thistle Hotel near Victoria station in London. Looking back on the notes I took during the meeting, the promises that were made about the new role of the Commission seemed impressive. Hardwick pledged that IPCC investigators would respond immediately when a death in custody happens, adding that if someone dies in custody at 2am, investigators would “be told by police no later than 2.10am.” He also said that Chief Constables had “a legal obligation to co-operate with the IPCC.” But within only two years, both guarantees were thoroughly discredited by Sir Ian Blair’s ability to delay for five days, with government support, the start of the formal IPCC investigation into the killing of Jean Charles de Menezes. Vital evidence that might have helped the determination of truth was lost. Unfortunately, even in this most serious and damaging challenge to the IPCC's credibility, Hardwick failed to face down the government by threatening to resign or by publicly criticising the Home Office for preventing his organisation from doing its job. There are many examples of this lack of nerve. The failure, for example, of the IPCC to insist that the Home Office overrule Humberside Police Authority and demand interviews with the five officers who refused to cooperate with investigation into the death of Christopher Alder, made Hardwick’s assertion in 2003 that it would be “unacceptable for a police officer not to be required to give a full account of their actions” look hollow. Jump forward to the IPCC’s sluggish response in April 2009 to Ian Tomlinson’s death and it becomes more and more difficult to distinguish it from its discredited forerunner, the Police Complaints Authority. What does this mean for activists and campaigners? On one level, we need to recognise that continually placing our faith and expectations into weak-willed and powerless official bodies like the IPCC or local police authorities will always lead to disappointment. However, it also means a fundamental re-evaluation of the position that policing holds in Britain. The left’s traditional view that the police are just the arm of the state is now far too simplistic; the last decade has seen the police emerge as a powerful political player in its own right. It is as innately conservative and as ready to use physical force as ever but more influential, more independent and more difficult to hold to account, a kind of Fifth Estate that in the short term is almost impossible to reform. Faced with such a challenge, what little impact campaigners can realistically make is the ability to expose, but we also need to begin a radical shift in our thinking. A starting point would be to accept that, no matter how many times the words ‘policing by public consent’ are trotted out, the police are no more our servants than corporations or the media are. If it is possible to envisage a different world in which our global economic and financial systems are fundamentally transformed, then it must therefore be possible to question the way we think about the issues of policing, crime and security and to imagine alternatives. Red Pepper offers us an opportunity to launch this important debate. Most people aren’t going to read the 107 pages of the report by Dennis O’Connor, the Chief Inspector of Constabulary, into the policing of the G20 protests, which came out last week. Instead, they’ll rely on the press to provide the key facts – which, as always, is a mistake. For in another example of the laziness of mainstream ‘churnalism’ in Britain, O’Connor’s interim report has been described, in the words of the Guardian, as “scathing”, whilst the Times said it contains “significant reforms”. It’s clear they hadn’t read the document, for it is neither scathing, nor groundbreaking, nor even particularly critical. What the report is most concerned with is managing public perception – or in O’Connor’s words, the need “to convey a policing perspective of events.” In this respect it betrays its origins as a review requested by Sir Paul Stephenson, the Metropolitan Police Commissioner, as a direct result of the increased public scrutiny and “the influence of ‘citizen journalists’ – members of the public who play an active role in collecting, analysing and distributing media themselves.” O’Connor admits that “technology has allowed for a more flexible and responsive protest community which is capable of advanced communication and immediate reaction to events on the ground.” In part, his recommendations are aimed at providing the police with ways to deal with this fundamental shift in the control of information. The report reveals journalists and broadcasters themselves have offered suggestions about how they might be better spoon-fed police propaganda. This includes more police briefings at the scene of a protest to “provide information that is contextualised by what is happening on the ground” (in other words, spun to favour the police) and “making frontline officers experience available after an event”, presumably to show the dangers the ‘thin blue line’ faces from ‘violent’ protesters, rather than to show off the kind of fictitious injuries seen at last year’s Kingsnorth protest. The most alarming of these ideas is embedding journalists with frontline police, a practice that should have been thoroughly discredited with the experience of war correspondents in Iraq, where journalists were seen as a ‘force multiplier’. Embedding with the police would turn them into the same sort of tactical asset, remove any credibility a journalist may have as a neutral observer, make them a target of protesters (with justification, frankly) if a confrontation arose and hand police propagandists the power to hand pick sympathetic reporters or remove embedded credentials from anyone who failed to be sufficiently ‘on message’. The problem the report fails to properly address, however, is that embedded journalists or on-the-spot briefings would probably have made little difference following the G20 protests. Indeed, O’Connor acknowledges that “initial coverage of the event was positive but by the 5th April was becoming more critical. This intensified following the emergence of images relating to the death of Ian Tomlinson,” whose death the report largely brushes over. It does recommend new guidance on information connected to deaths and serious injuries, but avoids the fact that deliberately misleading stories that came from the police about protesters and about Tomlinson’s death are themselves the subject of complaints by the Independent Police Complaints Commission. A press statement issued by the Metropolitan police immediately after Tomlinson died said “officers gave him an initial check and cleared his airway before moving him back behind the cordon line to a clear area outside the Royal Exchange Building where they gave him CPR. The officers took the decision to move him as during this time a number of missiles - believed to be bottles - were being thrown at them." Video evidence from protesters has shown this is simply untrue and yet it is a claim repeated again in the timeline of the review report in Appendix D – which mentions nothing about the earlier contact Tomlinson had with police officers or even the now infamous assault upon him. 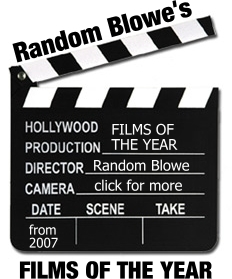 One possible solution for "helping protesters make informed decisions"? These ‘emerging’ recommendations add little to the House of Lords decision earlier this year in Austin & another v Commissioner of Police of the Metropolis, which found (wrongly in my view) that police use of kettling does not infringe the right to liberty of individual members of a crowd whose freedom of movement is restricted by the containment, provided the tactic is resorted to in good faith, is used proportionately and is enforced for no longer than is reasonably necessary. The problem for O'Connor is that police clearly ignored the House of Lord judgement in planning their operation on 1 April and simply restating what should have happened but didn’t is far from groundbreaking. Equally, O’Connor makes little comment on the potential of the use of containment to turn a situation outside the Bank of England, initially described in the Bronze commander’s log as “rowdy but reasonably complaint”, into something more confrontational, other than to say that “lack of information and understanding of the rationale for the use of containment served to increase resentment and anxiety amongst protesters.” The report fails to ask whether there really was a rationale for kettling protesters and whether its use was proportionate to a situation where its use appeared to have been pre-planned. The review has even less to say about the kettle that was imposed on the Climate Camp at Bishopsgate and is content to offer a deeply partisan narrative of events. There is nothing about the brutal police charge into peaceful protesters, many of whom were sitting down, other than an inadequate acknowledgement that “images of police officers using force, including distraction techniques, have the potential to undermine the public’s trust in police.” Again, hardly critical or ‘scathing’. Perhaps the most disingenuous part of the report is an attempt to manufacture ‘public consent’ for the use of containment, in preparation presumably for the final report later this year. Chapter 3 is devoted to the results of a questionable Mori poll that seems to have been devised solely to frame the overall debate, by showing that City businesses and residents were largely favourable of the police and that there is public support for kettling – as if the vagaries of public opinion have anything to do with the rights or wrongs of the police’s conduct on 1 April. There seems little methodological value in asking a bunch of people that haven’t been subjected to long hours of enforced containment to give an informed opinion on whether kettling is acceptable in all or some circumstances to avoid “disruption to the general public’s day-to-day activities”, as 77% of respondents concluded. Might their opinions be different if they had themselves had faced mass collective imprisonment with no access to food, water or medical treatment? And anyway, what kind of protest doesn’t involve at least some disruption to everyday activities? It is hardly a surprise, too, that a survey that poses the statement “public transport should be suspended to allow protests to take place” against “protesters should not be allowed to protest on roads that are used by public transport” might come up with a majority (22% against 44%) who would prefer what would effectively amount to a ban on street protest in London. Most respondents also favoured protesters needing permission to protest and subjecting themselves to ‘self-kettling’ by “agreeing to their route with the police and sticking to it” Self-kettled protest is exactly what the police would prefer but many protesters became disillusioned with this kind of sterile ‘stroll through the streets’ after the massive anti-war demonstrations failed to have any impact on the government and have therefore switched tactics, recognising that the Public Order Act 1986 does not make a protest without prior notification unlawful – its organisers may be guilty of an offence, but participants are not. The message is clear – go on anything other than an dull approved protest, no matter how peaceable you may be or how much of a ‘carnival atmosphere’ you generate, at your own risk. And take some sandwiches and a bottle to urinate in because our assumption is that you are likely to cause disorder. And this is supposedly a report that is scathingly critical of the police and offers signficant reforms? Sick racist Nick Griffin says the EU should sink boats carrying illegal immigrants to prevent them entering Europe.